As Second Amendment attorney Peter H. Tilem reported in a blog on April 24, 2016, New York and New Jersey’s outright ban on stun guns and tasers were unconstitutional. Now today, a Federal District Judge in upstate New York confirmed that opinion and enjoined the New York State Police from enforcing New York Penal Law sec 265.01 (1) as it applies to “Electronic Dart Guns” and “Electronic Stun Guns.” The case entitled Avitabile v. Beach was decided earlier today by US District Judge David N. Hurd of the United States District Court for the Northern District in New York. While the case is not necessarily binding in New York City, the case applies the U.S. Supreme Court ruling in Caetano v. Massachusetts, which struck down the Massachusetts state ban on stun guns. The issue actually began with the famous Second Amendment Case of Heller which was decided in 2008. In knocking out a ban on handguns in Washington DC, the US Supreme Court in Heller ruled that the Second Amendment applied to “bearable” arms. The Caetano decision, in knocking down a stun gun conviction in Massachusetts, made it very clear that a stun gun was a bearable arm as that term was used in Heller. 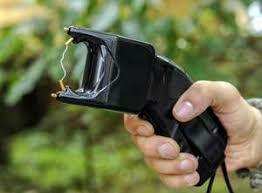 Besides being illegal, bans on stun guns and tasers are inherently illogical. All states permit the possession of handguns to a degree. Even New Jersey and New York City which effectively ban the possession of handguns outside the home, permit handgun possession in the home, with the appropriate license (in New York). However, prior to today’s ruling, New York and New Jersey have a complete and total ban on the civilian possession of stun guns and tasers which are non-lethal. This complete and total ban includes both possession inside the home and outside the home and does not even permit possession with a license. While the logical thing to do after the United States Supreme Court decision in Caetano would have been to stop the enforcement of New York’s ban on stun guns, New York police have instead continued to try to enforce this ban. There is no reason to believe that this decision in the Northern District of New York will in any way dissuade police and law enforcement agencies acting in the Southern, Eastern or Western Districts of New York (other than the New York State Police to appear to have been permanently enjoined from enforcing this law) from continuing to attempt to enforce this very bad law. As a result, except for those who live in the Northern District of New York, extreme caution should be used before attempting to act on this most recent decsion. It is also important to note that the above cited decisions, Heller, Caetano, and this decision Avitabile decision will continue to have far reaching implications. New York continues to ban a variety of “bearable arms” which are banned in and out of the home including switchblades, “gravity” knives, “kung fu stars”, certain slingshots and many others. The ban on Nunchuks or Chuka Sticks has already recently been overturned by a Federal Court. Expect that most, if not all, of the bans on “bearable arms” found in Penal Law 265.01 (1) to be overturned in Court decisions in the coming years. If you have any questions about the effect of this decision or about particular types of weapons, please visit us on the we at www.tilemlawfirm.com or contact one of our Second Amendment Attorneys.